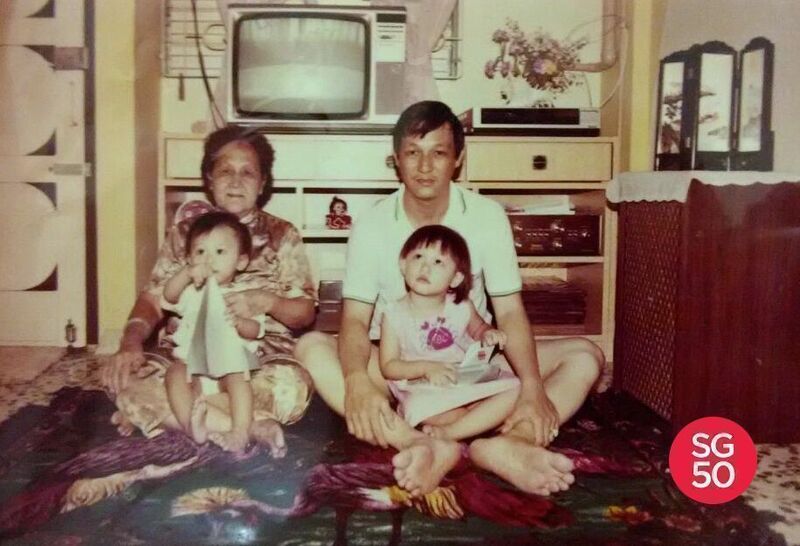 In the third of a series of stories about Singaporean homes in the past decades, we talk to Choy Kum Jin (Kim) about growing up in a home where the simplicity and community of the kampung spirit was still very much alive, especially in the common corridor that bound his family and neighbours together. Kim’s childhood home had a kampung-like simplicity that placed emphasis on practicality—barely any renovations were done, furniture was chosen on the merits of affordability, and the few decorative layers hand-sewn by his mother. Yet it was more than enough to provide Kim and his siblings a place colourful with cheer and warmth, not just within his family home but also the common corridor that linked him with the neighbouring ones—a space physically bare, but rich in value and meaning to many. It was where families would bump into each other and linger to chat, as well as the designated communal barefoot soccer space. Soccer games could also end up in invitations to watch LD (laser disc) movies at neighbours’ homes. The few little steps that served as the entrance to each home was not only a cosy welcoming nook (“especially when filled with shoes and slippers”), but also gave each house a little privacy from "people peeping or even staring from the windows along the common corridor." More importantly to the soccer-loving siblings though, the small wall divider was the perfect soccer goal posts. The door opened into a squarish layout more typical of the HDB flats in the '80s and '90s, which Kim says made it look much more spacious. “My brother and I could practise our long shots for soccer in the walkway,” he recalls. The flat came to them spartan. There was only one built-in cabinet under the kitchen sink, and Kim’s family had to purchase other necessary furniture pieces. Function took precedence for his parents, and they purchased most of their pieces from the same shop as it would cost less—approximately $1,000 for the lot. This kept the furniture style consistent, even in different rooms. Being a seamstress, Kim’s mother hand-sewed all their fabric covers, from sofa cushions and tables to even one to drape over their television. When it was not Chinese New Year, however, the mosaic marble flooring went uncovered. “The marble tiles were very decorative and had specks of contrasty dark coloured stones in it. Every time when we dropped small items onto the floor, we’d have a hard time looking for it,” Kim says. It became a game for his siblings and himself, who were more agile and could just "drop flat down and search for any protruding items." It wasn’t always games and soccer for Kim and his siblings—homework time was also daily routine. Watching television at home would be on a set from the National brand, now known as Panasonic (fun fact: although Panasonic is now used in overseas markets, the National brand name continues in Japan where the brand was originally born). “It was real boxy and had no remote control—it has a panel of buttons instead. But we didn’t mind walking up and down to switch channels or change the volume,” Kim recalls. Those were also the days of the VCR and video tapes—tapes that may need rewinding when rented (of course, Kim and his siblings were tasked to do that when necessary). Another source of entertainment came from his uncle's old vinyl player—one unrelated to music. Kim fondly relates how his brother and himself would put green toy soldiers on the spinning vinyl and watch them move. “I’m not sure if we spoiled the player, but we never did get scolded by my uncle,” he chuckles. A question to be left unanswered, for the vinyl player was eventually thrown out due to disuse. In both the night and day, the living room was brightened by light that seeped from the kitchen via an intriguingly-shaped entrance. “It was just a small entrance initially, but my dad wanted more light and air. By widening the entrance and hollowing out the top portions, a 'T' was formed,” Kim says. This would be the only renovation Kim’s parents did to the original house structure, also resulting in a personal “tinge of ‘80s industrial design” with the addition of brick-walled wallpaper. 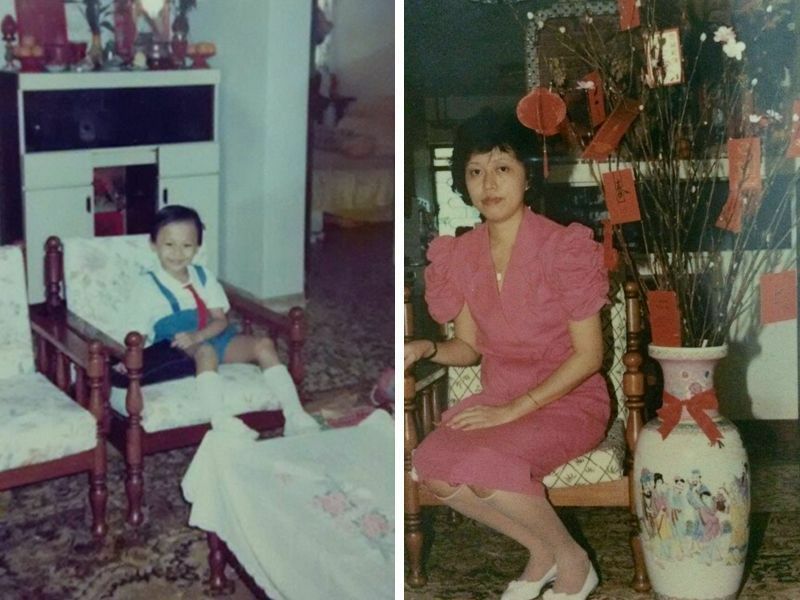 Indeed, his parents treasured the place so much, they were initially reluctant to move into their current home in Jurong West. “After all, this was the place she stayed when she married in,” Kim says. Over the years, Kim grew to appreciate the value and nuance of design more. “Things have changed. People nowadays are also paying more attention to their lifestyle compared to our parent’s time, and their expectations for getting something beautiful gets higher over time,” he muses. What anchors him in his work is the connection people have with the resultant products—an inherent connection strengthened by placing emphasis on the quality and building process. “The material is carefully selected and sometimes even specified by the customer. 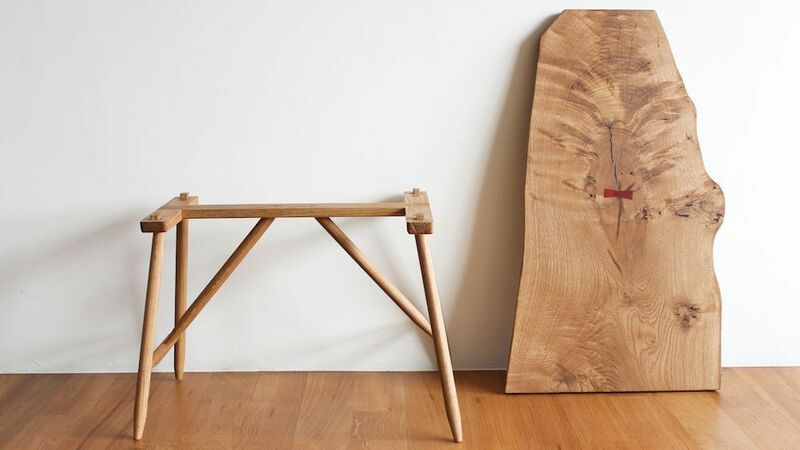 The entire process of woodcrafting gets the customer involved. 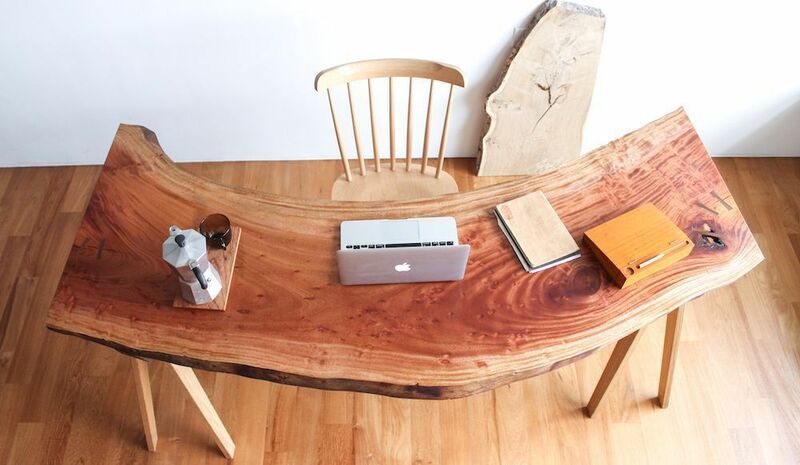 Isn't it good to know where your furniture comes from, where it’s made, and who the craftsman is? These are very personal touches that come from handcrafted pieces,” Kim says. These days, you can find Kim in his own woody abode, or hard at work building furniture. Check out the rest of the Our Homes of The Past series here, here, here, and here! Have a story you want to share or want to tell us what you think of the story? Drop us an email at hello@cromly.com. You can also visit our interactive microsite featuring the Singaporean home in the past five decades.